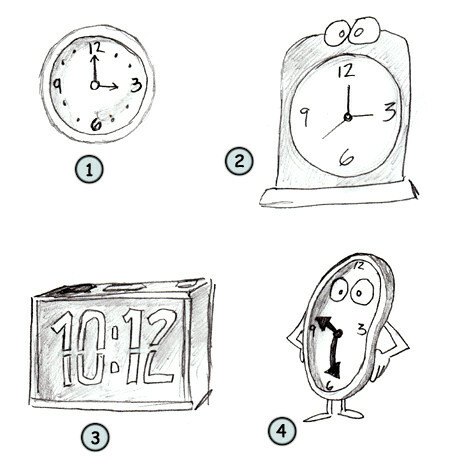 Drawing a cartoon clock: some fun facts before starting sketching! The word "Clock" is probably related to the word "Cloche" in French (which means "bell"). Salisbury Cathedral in southern England is the location of the oldest clock in the world. Over 600 years and still ticking! Clocks can be powered by nuclear energy, by the sun or by a simple mechanical process. 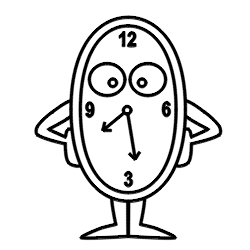 It's now time to learn how to draw a cartoon clock! They can be made using any shapes. But by tradition, a wall clock will most likely be circular (1). A clock usually have the number 1 through 12 written on it (2). You can also create a clock using only the number 3, 6, 9 and 12. 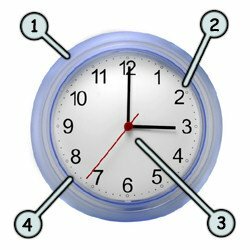 Finally, a clock will have "clock hands" (3) to help the user identifies time more easily. Looking at the shape of our clock, you can see that this one is very simple to create. 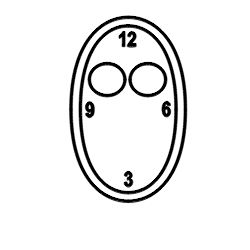 Two circle to form the frame and the body of the clock and three lines for the clock hands. Now this one may be very simple, so it will be our challenge to draw one with a little more attitude and details! Let's start this lesson and see if we can draw a simple fun clock! 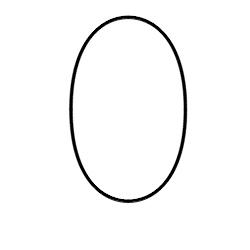 First, draw the body of the clock using an oval. 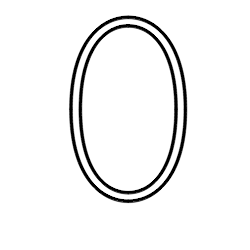 Next, draw another oval shape inside to create the frame of the clock. This is not a realistic shape since the clock hands will never be able to reach the "12" if it reaches the "9" since the clock is oval. But for our drawing, that will do! 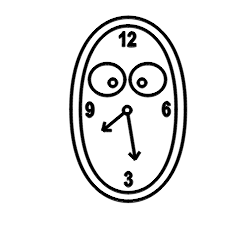 Next, add the numbers and the eyes in the body of the clock. Make sure that the eyes are not too close from the frame. Then, you can draw the clock hands and the pupils of your character. Don't forget to make two clock hands using two different lines (one short and one long). Finally, sketch the arms and the legs of your clock character. You can add colors to make the whole thing more fun to watch! If you have some space remaining below the clock hands, you can also draw a mouth! 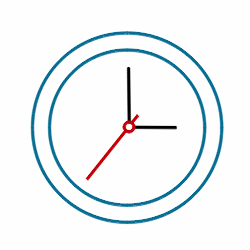 Clocks can be drawn using any basic shapes you wish. They can be round (1), digital (3) or made with arms, legs and a life of their own (4). Just use your imagination and take your... time!